These attractive, well equipped apartments are located in either the Grand Bois or the newly renovated Britania residences. 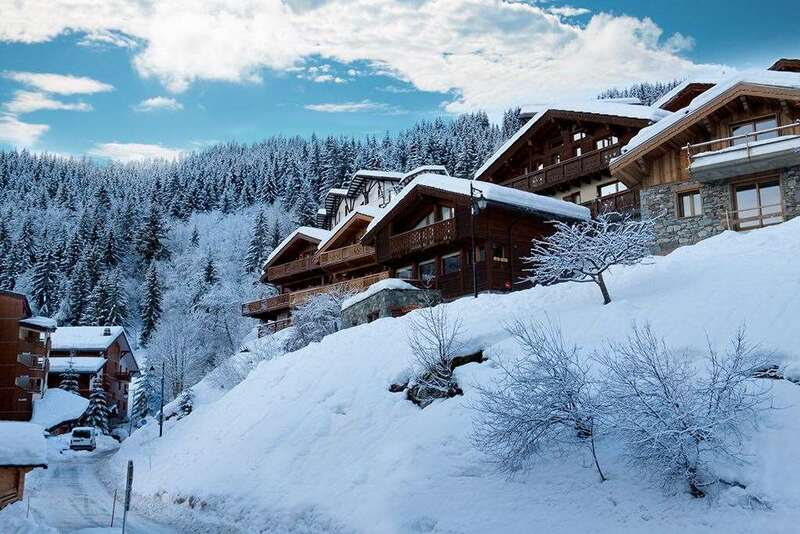 Both sets of apartments offer doorstep skiing and are ideally situated for accessing the Three Valleys ski area. All have kitchenette with hot plates, fridge, dishwasher and microwave, bathroom with WC, TV, and balcony. Bed linen and local taxes included. Towels not included. Type A studios - sleep 2: living area with sofa. Double bedroom. Type C studios - sleep 2-4: living area with two sofa beds. Double bedroom. Type C1 studios - sleep 2-4: living area with 2 sofa beds. Cabin twin bedroom. Bathroom and WC. Type D2 apts - sleep 2-5: living area with 2 sofa beds and a pull-out bed. Twin bedroom. Type D1 apts - sleep 2-5: living area with 2 sofa beds and a pull-out bed. Twin bedroom. Type F apts - sleep 2-7: living area with 2 sofa beds and a pull-out bed Twin bedroom. Cabin bunk room. Additional shower room with WC. Comfort +: beds made on arrival, towels, cleaning kit & end of stay clean (excluding kitchen), extra charge.